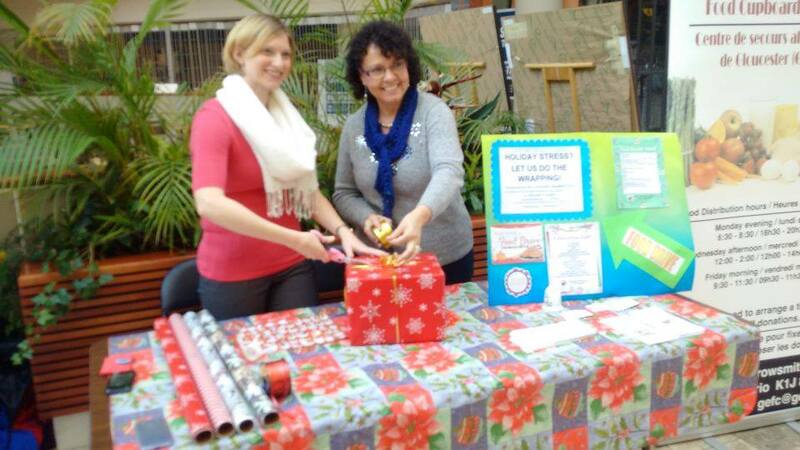 PCA volunteers wrapped gifts in exchange for cash donations and food donations for the Gloucester Emergency Food Cupboard over two Saturdays Dec. 6 and 13, 2014 at the Gloucester Center. We raised $700 and a trunk-load of food in this first annual charity food drive. 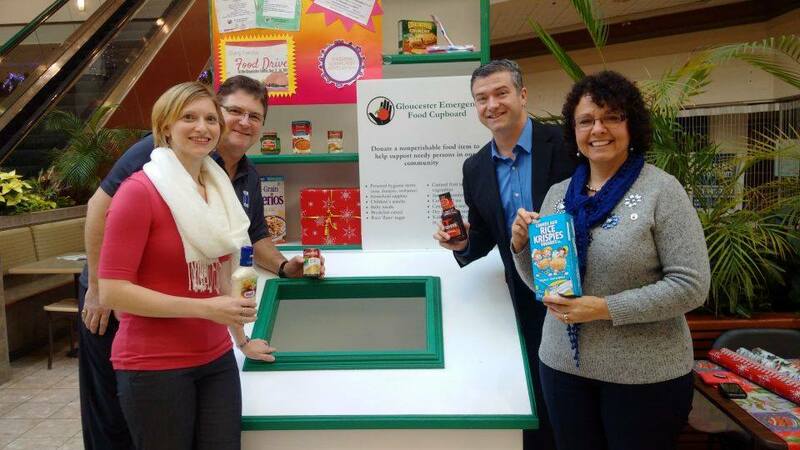 The Food Collection box will be available at the Gloucester Centre from Dec. 2 to 14. Non-perishable food donations were left there during those two weeks. For more information or to volunteer next year's drive, contact Heather at hmariescott@gmail.com or 819-962-3319.